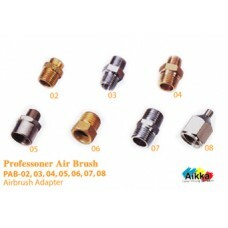 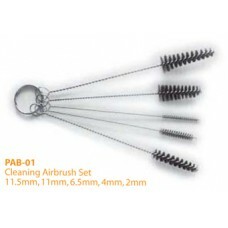 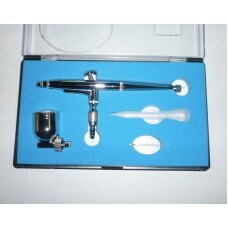 PAB 115 AIRBRUSH Feed Type:Gravity Standard Nozzle Dia:0.3mm Altenative Nozzle Si.. 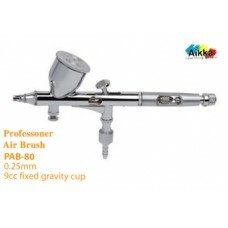 Specifications: Feed Type:Gravity Nozzle:Dia.0.3 mm Cup capacity:7CC&10cc Working Pressure:15-50..
DualactionAirbrush FeedType:Gravity NozzleDia.0.3mm&0.5mm NeedleDia:0.3mm&0.5mm ..
Dual action Airbrush Internal mix Airbrush Feed Type: Gravity Nozzle: Dia. 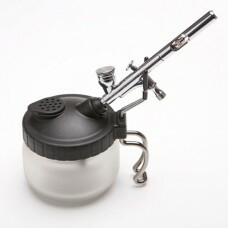 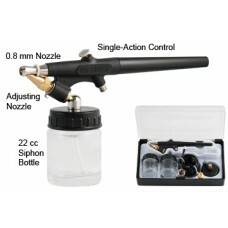 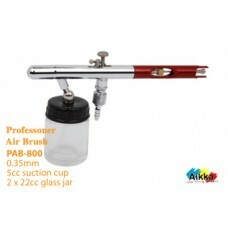 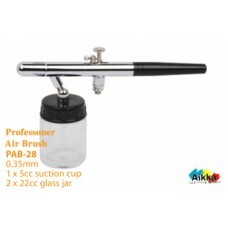 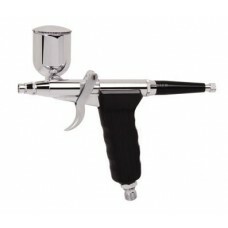 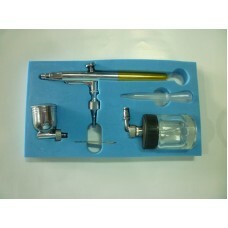 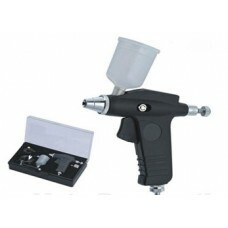 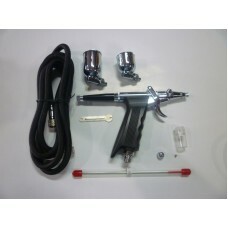 0.3mm Cup Capacity: 7CC W..
Dual action Airbrush Nozzle: Dia.0.3 mm Cup capacity:7CC&22cc Working Pressure:15-50PSI.. 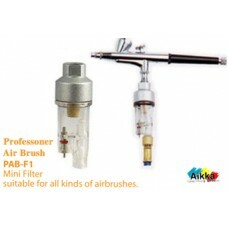 This miniature in-line Pistol Grip Filter is the final defence to deliver clean, dry air to your air..
11.5mm, 11mm, 6.5mm, 4mm, 2mm .. 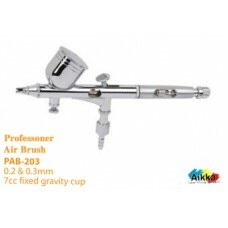 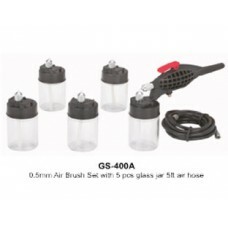 Prevents overspray while cleaning yor airbrush, equipped with airbrush hanger for both gravity and t..
0.2mm 7cc fixed gravity cup ..
0.35mm 1 x 5cc suction cup 2 x 22cc glass jar ..
0.25mm 9cc fixed gravity cup ..
0.35mm 5cc suction cup 2 x 22cc glass jar ..